When I joined in with twitter’s educational world a couple of years ago I was struck by how much discussion there was on the role of knowledge in the curriculum. We were still feeling the reverberations of Gove’s reforms to the national curriculum and the new GCSEs were being prepared ready for teaching. Whilst there were many voices saying that they welcomed this move to a more rigorous and knowledge focused curriculum there were many dissenting voices. Their arguments tended to fall into a few broad and overlapping points. It was a backwards step. We had moved beyond this way of looking at education. This form of education wasn’t needed for the 21st century. We needed to focus on the skills that employers wanted. Not knowledge. It was actually harmful and Gradgrindian. Dictating what kids learnt like this was a form of abuse. What I find interesting is that over the intervening years you hear these arguments much less. Instead we hear a new cry anytime someone mentions a knowledge-rich or knowledge-based curriculum. We have always done this. Its nothing new. No one has ever argued against it. The level of cognitive dissonance this must be creating in some people’s heads is surely enough to cause a migraine. It is both something we had moved past and something new? It is both something new and harmful and something we all agree on and always do? Last week Ben Newmark wrote about his plans for a knowledge-rich curriculum in history. Afterwards there were a number of people claiming that this is what heads of department had always done, that this was nothing new, that no one has ever argued against it. Well, lets see. Daisy Christodoulou and written a whole book unpicking learning myths, such as not needing knowledge, and started each chapter by proving, comprehensively, that the myth did indeed exist. Academics, such as Bill Marsden and Margaret Roberts have both argued passionately for a number of years that geography was missing from geography lessons – with pupils focusing on generic skills or demonstrating teaching skills to outside observers. However, some people have still asked for personal examples of the difference before and after the focus on knowledge in the classroom. 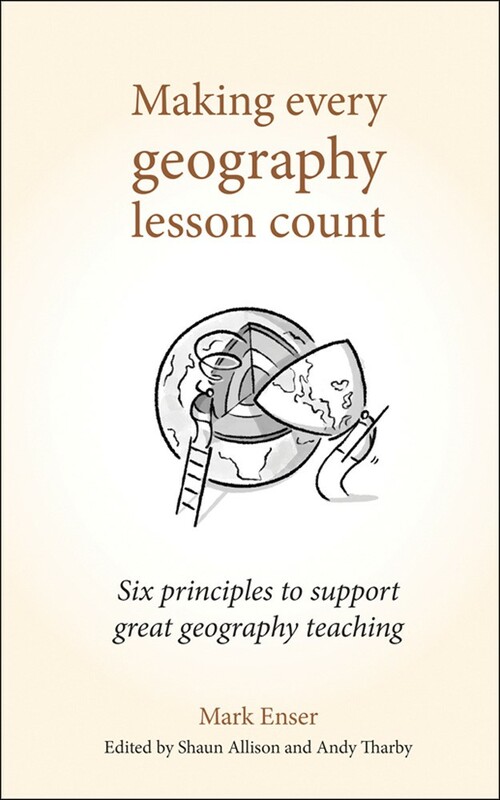 When I started teaching in 2004, the prevailing idea I came across in geography was that “everything was geography” – it therefore didn’t matter what you taught in your curriculum as any topic was just a medium through which various key concepts could be taught. The national curriculum at the time supported this idea with almost no prescribed content to cover. This led to a lot of departments adopting a very piecemeal approach to geography where they would select engaging topics to teach geography through. This was supported by the RGS who provided detailed schemes of work on an array of topics that could be picked off the shelf and taught in any order. They could be taught in any order because there was no real sense that things should be recalled in the future and built on. You were developing skills that ran across all the topics – not knowledge. This led to a lot of pupils learning about the geography of football, the geography of fashion, adventure landscapes, the geography of crime etc. There is not anything necessarily wrong with any of these topics – you could build some excellent geography lessons around the topic of crime, but in my experience, and the experience of those I have spoken to, this often didn’t happen. I remember a Year 8 lesson I taught on the “Geography of Crime” that was graded as outstanding. It was based in part on materials in the Geog 3 textbook – although obviously I couldn’t use the book itself in the lesson as I was being observed. The lesson looked at the idea of different types of crime and began with a classification activity (classification being a transferable skill) where they sorted cards showing different types of crime into categories. There was no right or wrong answer. It was about them discussing it in groups (group discussion is very important – it will develop their group work skills that employers want). They then read an account of a crime that had taken place where the two perpetrators had been charged and sentenced to prison for a mugging. They had to discuss in groups and make a decision about whether this was a good decision (decision making is an important skill) and justify that decision based on evidence (there was about three short paragraphs to base this decision on) and the views of stakeholders (a very important skill – seeing the world through the views of others). There was then a task where pupils looked at a map showing where different types of crime had been committed and work out why the crimes took place at these locations. They had to explain why they thought this (explaining why you think things – another skill.). For the plenary they answered some multiple choice questions by moving to different parts of the room to show what they thought (throwing a bone to the kinesthetic learners). The questions were asking about their opinions. People would justify their opinion and then people could move if they were convinced. Since moving to a knowledge rich curriculum we give much more thought to the way we structure the course. We plan out how different topics will connect, not just across a key stage but between them. We also think much more carefully about what it is that we actually expect pupils to remember and why we think this needs to be remembered. Although we focus heavily on geographical skills, we don’t allow generic skills to dominate our lessons. Lets compare that to a more recent year 8 lesson. Pupils have been looking at how a river changes as it moves downstream. The objective of the lesson is to be able to identify river landforms on a map and use the map evidence to show how a river has changed the landscape. They start with a quick quiz of some of the key terms they will need this lesson and when going through the answers I clarify a few misconceptions (such as the difference between erosion and weathering). We then revisit their OS map skills. I model how to give six figure references and then they practice a few examples using the map extract of the River Tees we will be using. This also familiarises them with the area. Next they make a prediction about where certain landforms will be found along the river. They have studied these landforms in previous lessons and know why they form so this is application of this knowledge to a new context. I show them how to identify these landforms on an OS map using examples from different rivers and then they try to identify these landforms on the River Tees. They write the location of these features and explain why they are found at this part of the river. They have a list of key words they must include – most of these came up in the quiz. They finish by putting all this information together to answer the question “How has the River Tees shaped the landscape”. We will go on next lesson to consider why not all rivers shape the landscape in the same way. The big difference is that this lesson focuses on the geography. They are expected to know things and to apply this knowledge to different contexts. As a result there is a greater sense of sequencing. This lesson appears at this place in the curriculum for a very particular reason. I have planned in how it links to topics they have studied before and how it will link to what comes after. Whilst they may occasionally be working with a partner or checking with another pair, this isn’t the purpose of the lesson. The knowledge is the thing. This is where things get difficult. When these things are discussed on twitter and elsewhere you always get a chorus of “well, I’ve never done it this way” or “Well, I didn’t waste my time teaching like this”. Bully for you. It would seem that some amazing teachers avoided the terrible advice and pressure to teach badly. I am very happy for them. But that doesn’t mean they need to write off the experiences of those many many teachers who were less fortunate. We were trained to teach like this. We were inspected and given warnings for talking too much. I was once given a dressing down by my head of department for “just giving them the answers”. Perhaps you are very fortunate and have always taught a knowledge rich curriculum. If so, I am delighted for you and for your kids. But for the rest of us, let us celebrate being allowed to join you. Things are changing and at least we all now agree that this focus on knowledge is no bad thing. After all, some of you have always done it this way. ← What CrossFit tells us about preparing for GCSEs. How true! I taught the exact same silly lesson on Crime… there is some value in that style anf occasionally I still do ‘these’lessons… I started to teach here 15 years after being raised and educated under a slightly different system. I could not get my head around the ‘skills’teaching. You could spend 6 weeks teaching Kobe eq to without pointing Japan on a map! I have seen this with my own eyes. It was still an outstanding lesson. Well, not to me, it wasn’t. Haha. I really struggled… resisted, questioned it… and now we have made the full circle it seems.